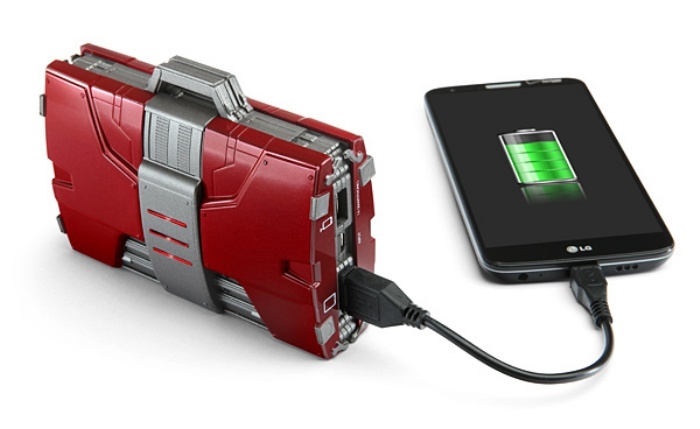 So this Mark V armor suitcase-inspired power bank won’t be able to give Iron Man a boost when he needs one, but it’ll let you charge up your phone, tablet, and other mobile devices when you’re out of juice. It’s a 1/4 scale prop replica of the suitcase that packs 12,000 mAh of power for your convenience. It’s also equipped with two USB ports so you can recharge two devices at a time. By Hazel Chua on 04/25/13 • Leave a comment! How tall is Tony Stark in his Iron Man suit? No idea, but I do know how tall a life-sized figure of his suit is: over 7 feet. Okay, so that’s more of an approximation, but still. 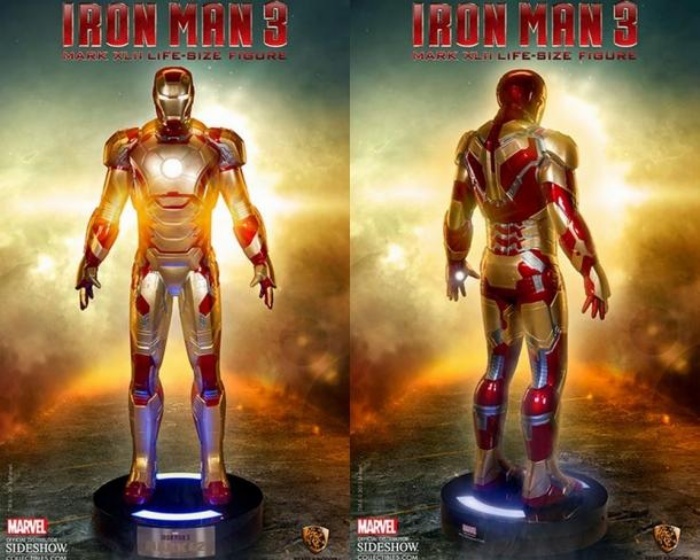 This reproduction of the Iron Man Mark 42 suit that you’ll see on Iron Man 3 should stand tall and proud wherever you decide to put it and it should, because it’ll cost you $8,500. The massive life-size Iron Man figure by Sideshow Collectibles is painted with high-gloss automotive paint to give it that distinctive shine. 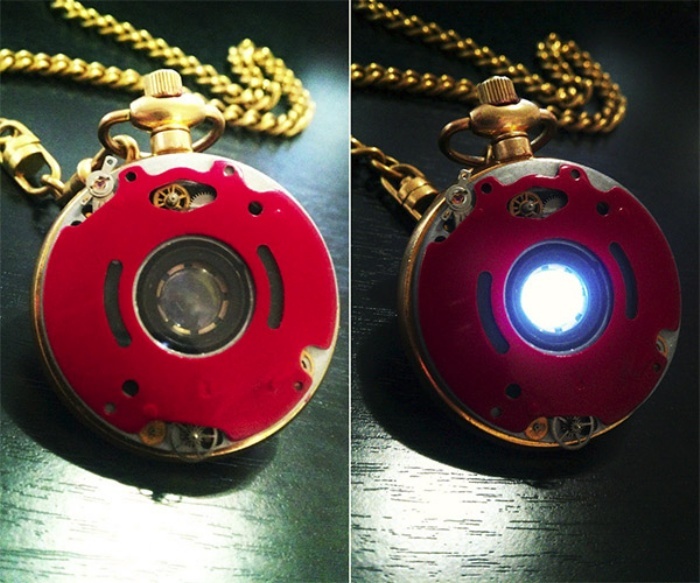 That’s not the only thing that’ll shine, because the figure has LED light-up eyes installed as well. 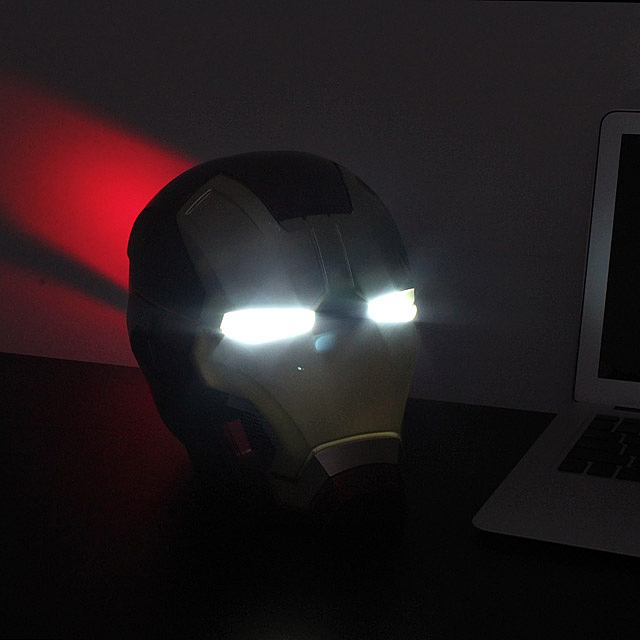 It will also come complete with arc reactor palms and a display base. You have to be more than sure if you want to get one, because you’ll have to pay a non-refundable deposit of $1,700 upfront when ordering. 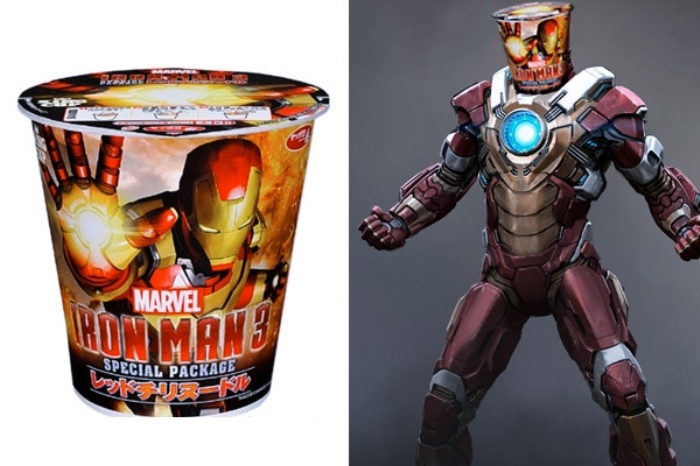 Want Some ‘Iron Man 3’ Instant Noodles? Well, Come and Get It! Iron Man 3 will be hitting theaters in less than two weeks’ time and the hype is on hyperdrive. 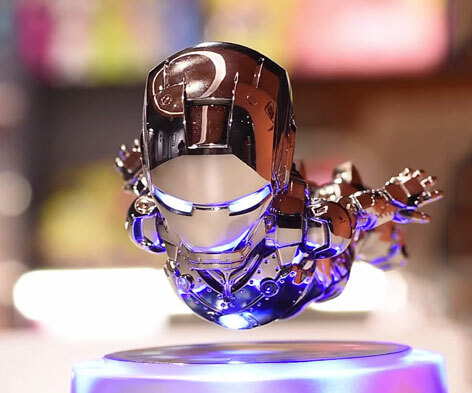 Aside from the endless barrage of trailers and promotions on the big screen as well as on the silver screen, a handful of themed toys have already been released on the market. Even stuff that you never thought would get made are getting made, like Iron Man 3 instant noodles. It doesn’t come with a suit or any fire power, but it will give you that boost of energy your normally get after eating a particularly hearty meal. One look at these sneakers and you’ll know immediately where the design was inspired from. 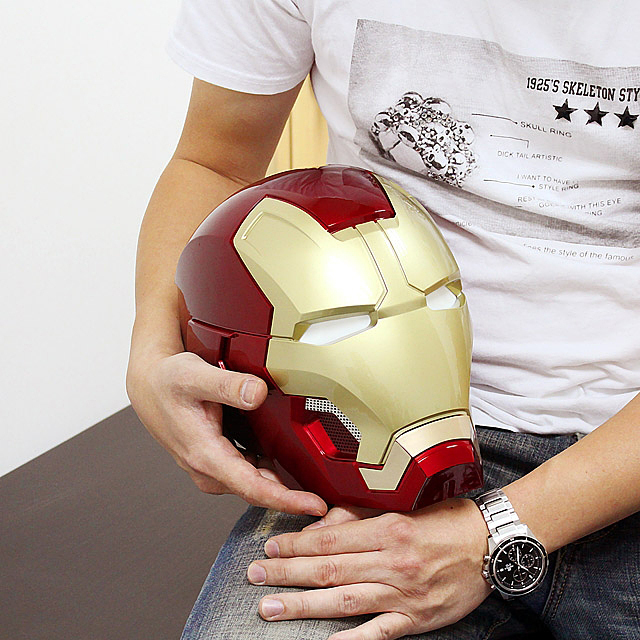 Iron Man 3 hits theaters in less than two months, and clearly, everyone’s excited. 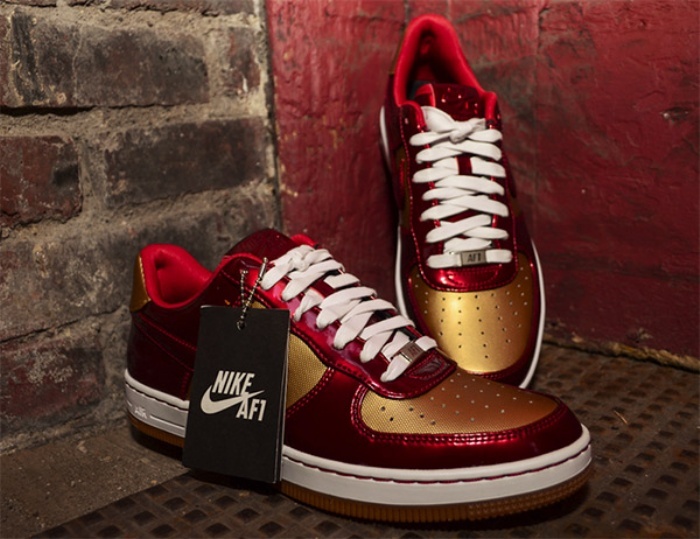 So here’s something else for you to talk about aside from the movie’s newly-released trailer: these awesome Iron Man Air Force 1 downtown sneakers by Nike. By Hazel Chua on 01/23/13 • Leave a comment! Have you ever felt so passionate about something that you just wanted to break out the tools and make something to that thing you’re so passionate about? 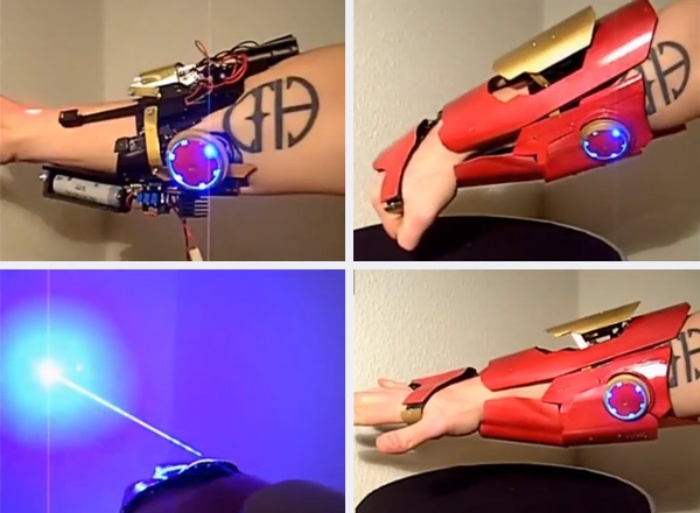 Well, I never did, since I’m not really good with the DIY stuff, but Patrick Priebe is–and he’s showing the rest of the world just how awesome he is at it by making this Iron Man gauntlet. The gauntlet isn’t all for show. It can actually shoot high-powered lasers that have the capacity to burn stuff (ouch!) and pop balloons. He didn’t do any tutorials or post any in-the-making images so you won’t be able to replicate this at home, unless you do so with your own resourcefulness and ingenuity. Hit the break for a video of the gauntlet in action.